Swami Sarvadevananda will be available to meet privately with devotees, for personal spiritual guidance or instructions on how to deepen meditation, and worship. He can also give spiritual initiation to seekers. 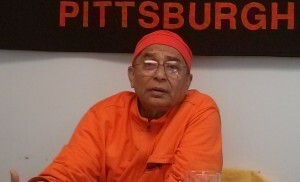 Write to rsvp@vedanta-pitt.org to make an appointment. Please attend with your family and friends. Please spread the word. *The Retreat classes are free. You are, however, encouraged to make a donation of $10 to the Ashrama to defray the costs.